Kin-iro Mosaic – 12 | Mezashite! There’s dissonance between “eighth-grader” and “high school first-year”, since they’re two different systems, but the alternatives weren’t much better. 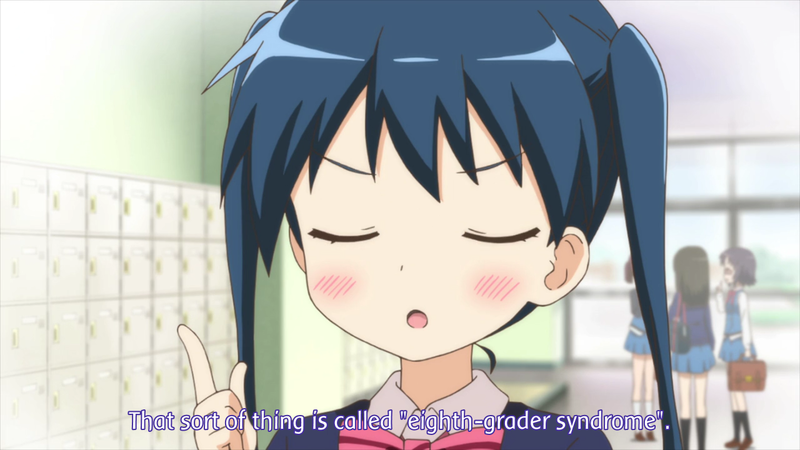 “Eighth-grader syndrome” is a lot more well-known than “middle-school-second-year syndrome”, so we had to use that. But it just feels wrong to say “tenth grade”. I initially had it as “middle-two” and “high-one” but editor wouldn’t have any of it. Thanks for doing this series! Seeing how depressing those comments are, is there gonna be a batch? Thank you for the hard work on this series, guys! Hope to see more things from you! This is why fansubbing drives a lot of anime lovers to quit subbing. Anyways, thanks for subbing this. I really loved it. It’s unfortunate you couldn’t enjoy it, but I guess that’s just one of the woes of fansubbing! Thanks for the release, and the series. But really, thank you Mezashite! for picking up and sharing this show with everyone! It was extremely relaxing and enjoyable, and never failed to be high-points in my weeks of working and studying. Hey near the end of the episode after Shino told the story; Why were they sitting next to each other again? Didn’t they get put into seperate classrooms? 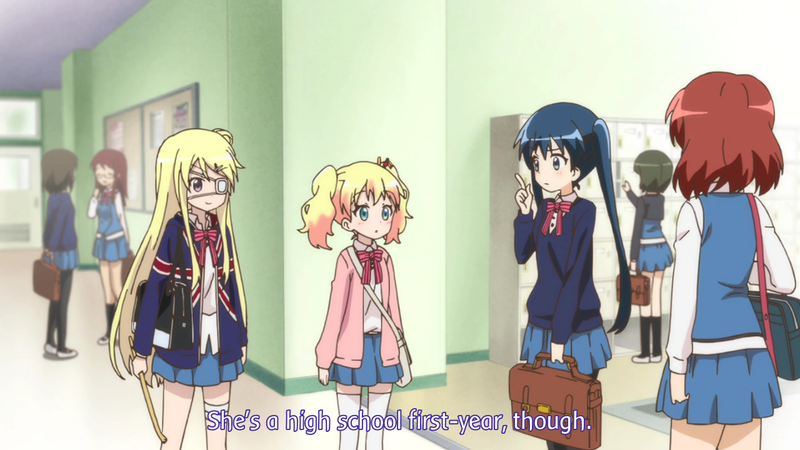 The second half of the episode is from back when they were first-years (i.e. the entire series before the first half of the last episode). I think it’s Youko who mentions it, plus you can see that they’re in their original classroom too. Just want to express my sincerest thanks for all your hardwork and sacrifice subbing this show! 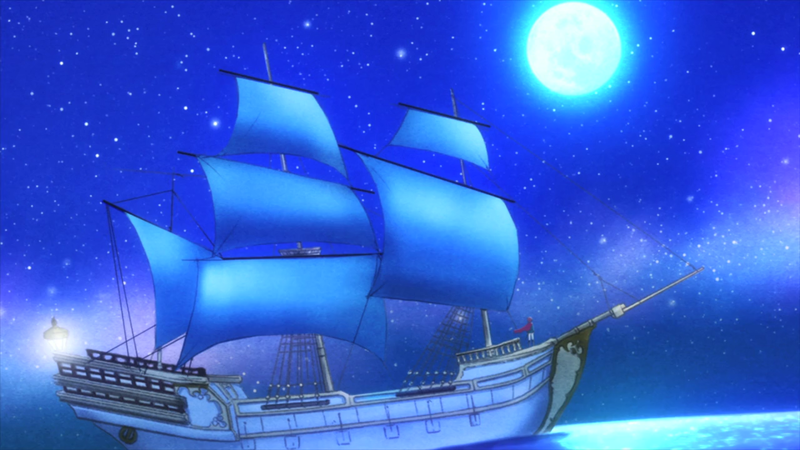 It was an incredibly enjoyable series, and one that I’m genuinely said to see go (for now? ).